This is the first time we have worked with London-based fashion designer Katie Eary, who is well known for her brave approach to men’s fashion and her rebellious mixture of the subversive with traditional tailoring. In 2013 she introduced a womenswear line, which has been worn by the likes of Rihanna and Lady Gaga and now in her tenth season Katie has become a global brand. 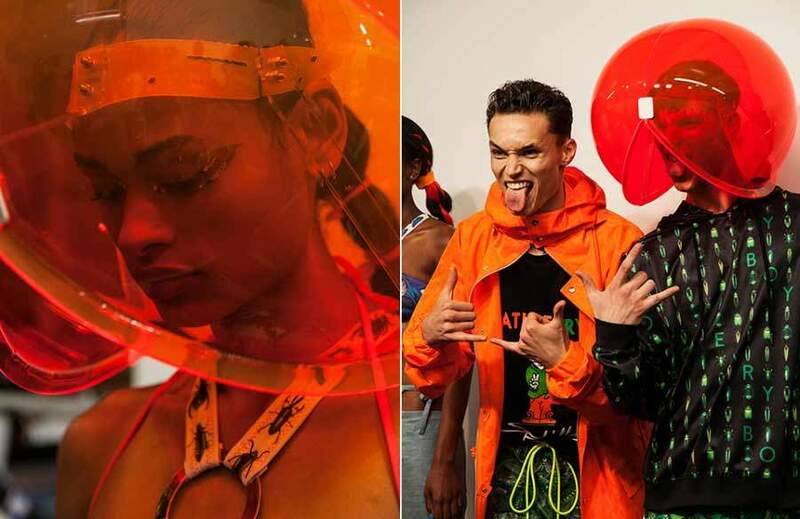 For her Spring/Summer 2018 collection she collaborated with labels ‘BOY London’ and ‘Spliffy’ resulting in an edgy ‘street’ fashion, futuristic catwalk performance. 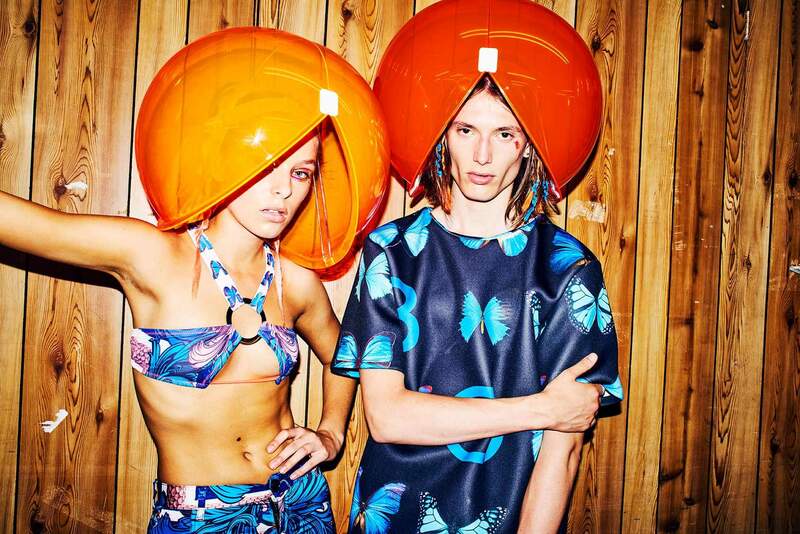 It was for this collection that we were asked to produce Day-Glo, sci-fi inspired Perspex helmets and wrap-around sunglasses. The method we employed for each helmet was to produce 2 Perspex domes that were vacuum formed. The florescent orange and green Perspex was 5mm thick, which we had to cut at an angle and glue together. The helmets were all the same size with internal adjustable supports that were taken from safety helmets used in the construction industry. To accompany the helmets we also made huge wrap-around sunglasses using the same coloured Perspex. Firstly, we laser cut the pieces and then heat formed them around a curved former to obtain the shape. The result on the catwalk was stunning and eye-catching with the orb-helmeted models giving a futuristic theatrical effect. 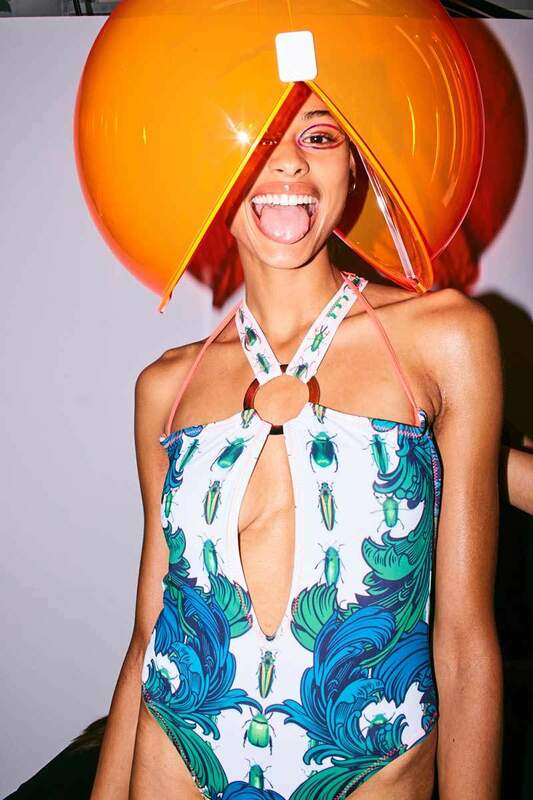 Photos and images of the Perspex helmets have since featured heavily on Katie’s website and social media channels as well as many on-line fashion sites.